Abigail has been in Girl Scouts for 8 years. She loves volunteering in her community, reading, writing, and dancing. She also loves robotics and going to the beach. Briana K | Briana K has been a Girl Scout for 10 years. Her interest include painting, music, and volunteering. She is also involved in AV school. Briana is in the orchestra and is involved with creating the year book. Furthermore, she goes to Girl Scout camp every year. She is looking forward to going behind the scenes and writing about different events. Caitlin S | Caitlin is a third year Cadette and has been a Girl Scout for nine years. She is very interested in STEM and even created a council own patch, called “STEM 4 Starters”, which all levels of scouts can earn. As a nature lover, Caitlin recently earned her silver award installing bee habitats at the Transition Habitat Conservancy in Pinion Hills, California. Being active on her school campus, Caitlin is part of the Academic Pentathlon and a member their dance team . Caitlin takes cheer and jazz lessons at her local dance studio, enjoys singing, drawing, reading, walking her dogs and hanging out with friends. She adores going to see musicals at the neighborhood playhouse and in LA. Some of her favorites are Hamilton, Rent and Jersey Boys. Inspired by her brother, Logan, who has Cerebral Palsy and Epilepsy, Caitlin hopes to one day become a pediatrician focusing on children with special needs. Haley B. | Haley is a seventh grade student at a local middle school, where she is a part of leadership and yearbook. She maintains a 4.0 g.p.a. and loves to write. She’s been a Girl Scout for 8 years. Outside of school she is a member of the National Charity League, plays volleyball and enjoys bike riding. She is looking forward to th4e new experiences being a Girl Reporter will bring. Juliet S. | Juliet is a 7thgrader who loves to put her social butterfly wings on, and hang out with my friends, or make new ones. 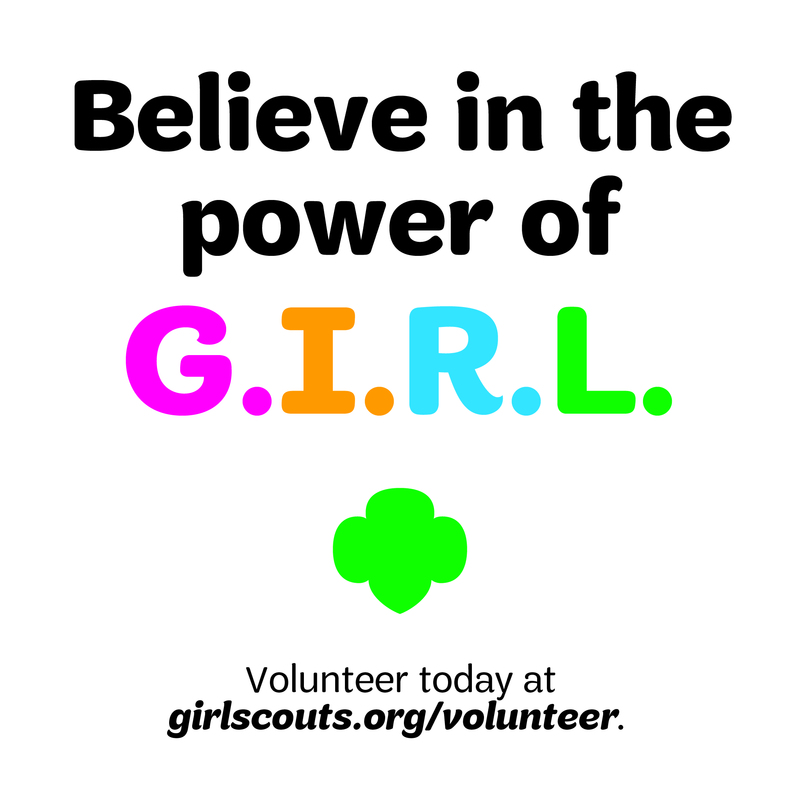 She is a devoted Girl Scout, and it’s so important to her to help people. She really wants make the world a better place. She’s an artist of sketching, painting and photography. She has a passion for music and enjoys dancing with my hip hop class. Juliet also love singing in my school choir and TCA musical theater. One of her goals is to write and produce an album, movie or T.V. show someday. She knows her dreams are big and hard to achieve, but she’s a hard worker. She’s excited to be a Girl Reporter to find true and inspiring stories. Teagan B | Teagan is a dedicated Cadet. She loves all animals, art, and hockey. She has been a Girl Scout for seven years. Teagan earned her Bronze award and is currently working on her Silver Award project. She’s attended camp at Skyland Ranch twice and Azalea Trails once. Samantha S | Samantha is a straight A student and works hard to maintain a 4.0 GPA. She does many extracurricular activities such as cheerleading, softball, reading and writing. Samantha wants to attend California Baptist University and study to be an orthopedic doctor. She is looking forward to be a GSSGC journalist. Nesha S | Nesha is rather quiet and has an avid interest in the preservation of the environment and ecosystems. She enjoys gardening, bowling, tennis, watching the news every evening with her parents, and swimming in the pool with her sweet 10-year-old German Shepherd, Yoda. Nesha’s favorite moments are the ones spent with her family and she especially cherishes her time with her grandparents. Even though for Christmas, her twin brother asked for a lock to his door so he can keep her out of his room, she loves spending time with him too! Nesha is also very fond of her Girl Scout troop and appreciates the almost 10 years of interesting experiences she has had through the GS organization. Milanie D | Milanie is an adventurous girl who loves to play soccer and spend time with family. She writes about her adventures and the world around her. She likes to make the world a better place any way she possibly can. She has also played club soccer for the past 5 years, which shows her dedication and admiration for the sport. Milanie values education and shows this by getting a 4.0 GPA in every grade. She also values her friendships with her peers in school. Lily D | Lily has been in Girl Scouts for five years. She loves all thing artistic including drawing, painting, and sculpting. She also enjoys STEM programs and has great enthusiasm about school. Lily loves animals – in fact, over the 11 years of her life she’s taken care of five pets. Kaylee D | Kaylee is 12 years old and has participated in Girl Scouts for 6 years. 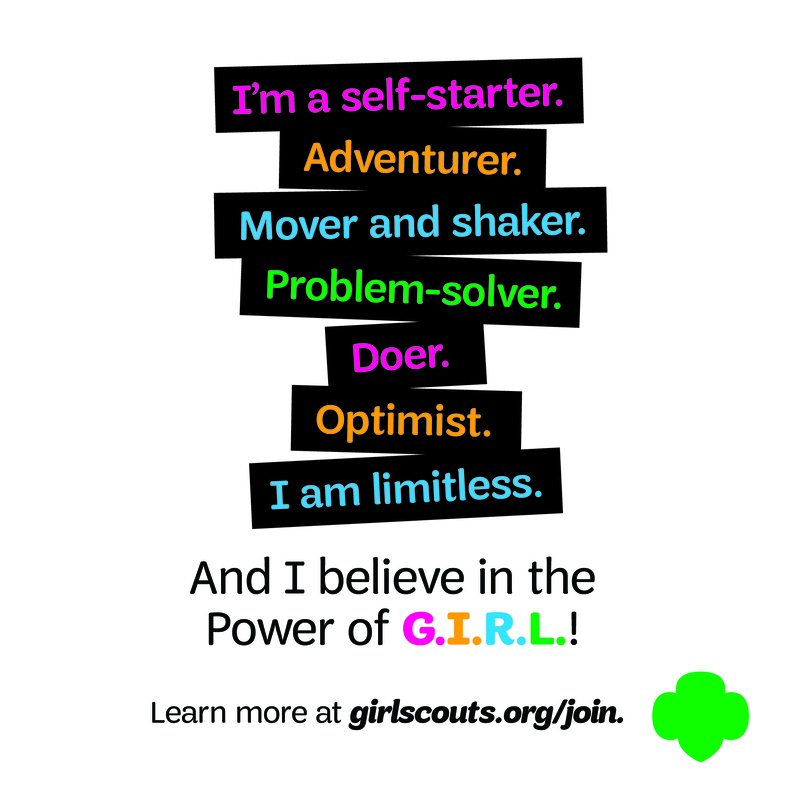 She will be commencing her 7th year of Girl Scouts this year! In her spare time you can find her reading, drawing, or making and editing videos. Her ambition is to one day become a lawyer. Pursuing journalism will enhance the writing skills required in becoming a sensational lawyer. She is looking forward to a fun year as a Girl Reporter! Audrey T | Audrey has been a Juliette and independent registered Girl Scout for five years. She loves the STEM events and camps that our council offers – especially GenCyber, where she learned to program a Raspberry Pi, that she then used in her 6th grade science project, which was rated among the top 20 in the entire school. In addition to being a top cookie seller every year, she also is very active in school, participating in yearbook and student council while maintaining Honor Roll. She has been a Hula dancer for 7 years and loves to perform. In her spare time, she enjoys making slime. She is also the oldest of 3 siblings. 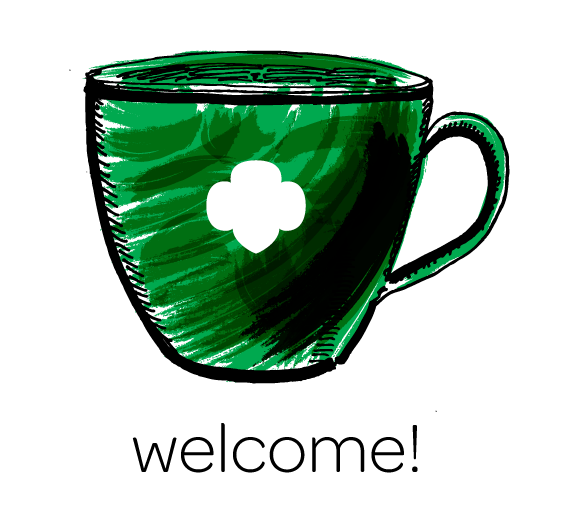 Alyssa G | Alyssa has been a Girl Scout for 8years and enjoys exploring new places and meeting new people. She’s always up for an adventure and especially loves photographing all the new places she visits. Alyssa loves playing softball with her friends at NewMark and first base is where you can find her. When she’s not playing softball she’s listening to her favorite band Little Mix. Zoe B | Zoe is 12 years old and has loved the water as long as she can remember. She swims competitively, does cheerleading, rides horses, and still as time to write a few essays. She attends a STEM based school, giving her a chance to pursue her love of Science and Engineering. She loves animals and spends lots of her time helping at a local horse stable. Isabel P | Isabel enjoys listening to music and enjoys to play it as well. She is an outgoing, fun person. She is her self around others and enjoys having alot of activites to participate in. She is a theater nerd and when she hears someone sing, talk, or hum a tune from a musical, she will stop everything and track down the source to have a fun filled conversation about nerdy stuff. Alyssa T | Alyssa has been a military child all her life, allowing her to have a broadened perspective when writing, having new experiences or meeting new people. She can often be found in a corner reading a book or sketching new comic book characters she’s dreamed up! She loves computer coding and cyber technology and likes to learn new languages like Spanish and Irish. When she’s not watching Steven Universe, she loves to engage in a nightly round of Jeopardy with her family. You may be in Double Jeopardy if you ever challenge her in Greek History! Berania B | Berania has been pursuing reporting for 3 years now. She can work with all different kinds of reporting whether it’s radio, written, or even broadcast. She writes articles and creates awesome videos. You can find some of her video work on DMHS Prodctions on youtube. Cassidy H | Cassidy might define herself as a little socially awkward, but that doesn’t stop her from being an amazing reporter. She’s a nerd who is into music and wants to be an oncologist when she grows up. Kassidy B | Hi! Kassidy is just a fangirl who loves bands and awkward youtubers. She can be pretty awkward, as well. Kassidy loves food and people, so yeah! LeeAnn G | LeeAnn has been in Girl Scouts for nine years. She loves to hang with people that share the same or similar interests as her. LeeAnn loves children and anything artistic, including photography, ceramics and robotics. Leah P | Leah’s favorite color is purple. She loves pepperoni pizza and mint chip ice cream. Dan and Phil are her favs. Leah loves to make and edit videos, and take pictures of nature, her friends and family. Lilliana V | Lilliana is an upcoming senior at Desert Mirage High School. She really enjoys outside activity and sports; actually, she’s a varsity volleyball player on her school’s high school team. She participates in ecological activities with the Great Academy of Technology and Energy and is an honor student with a 3.8 GPA (not to brag). Kira B | Kira has had a big adjustment. She was born and raised in San Diego with her nieces and nephew. Kira then moved to the Inland Empire. It’s been hard for her since her sister , nieces and nephew moved to Hawaii. To help her become more out going, Kira recently signed up with Barbizon to help her and to work in acting which see is interested in. Kira just recently attended camp as a counselor to help with her leadership skills. Caleigh R | Bio coming soon! Jillian B | Jillian would begin her bio with how her mother would describes her, as she believes that parents can really give insight to each of our personalities. That being said, her mother would describe her as courageous. Jillian would describe herself as a world-loving hippie who is hard working and loves to try new things. She loves playing softball and wants to pursue big things in life. Jillian is always striving to better herself and hopes that she can spread a little joy to someone else each and every day. Sophia E | Let’s start with the basics. Sophia has one sister who will most likely be the next great architect, because you can’t even walk in her room without painfully stepping on a pile of legos. In her spare time, Sophia loves to read and her favorites include Harry Potter and, of course, adventurous articles in the latest National Geographic Magazine. She is infamously known to blurt out the most interesting and most off-topic facts ever. For instance, did you know that the Egyptians used to train baboons to wait on tables? Hailey M. | Hailey is a spontaneous girl who always wants to have fun. She has been in band since fifth grade and has learned to read music and play the clarinet. She’s also a black belt in Taekwondo, plays volleyball and dances at a community center in the city of Eastvale. Since she values diversity, Hailey has a very unique perspective on the world. She is currently finishing her sixth grade year and is excited to begin middle school. In school Hailey gets good grades and loves to read. Throughout her entire school year, she has read 2,100,000 words! Grace N. | Grace is 12 years old and likes to play soccer and do activities with my Girl Scout Troop. She also volunteers at church twice a month. Grace has 3 older brothers. Two of them still live at home with her….and she knows how to play some pretty good pranks on them. The one thing that Grace would like you to know about her is that she LOVES dogs. She has two dogs, Holly and Snickers. They are the best dogs ever!